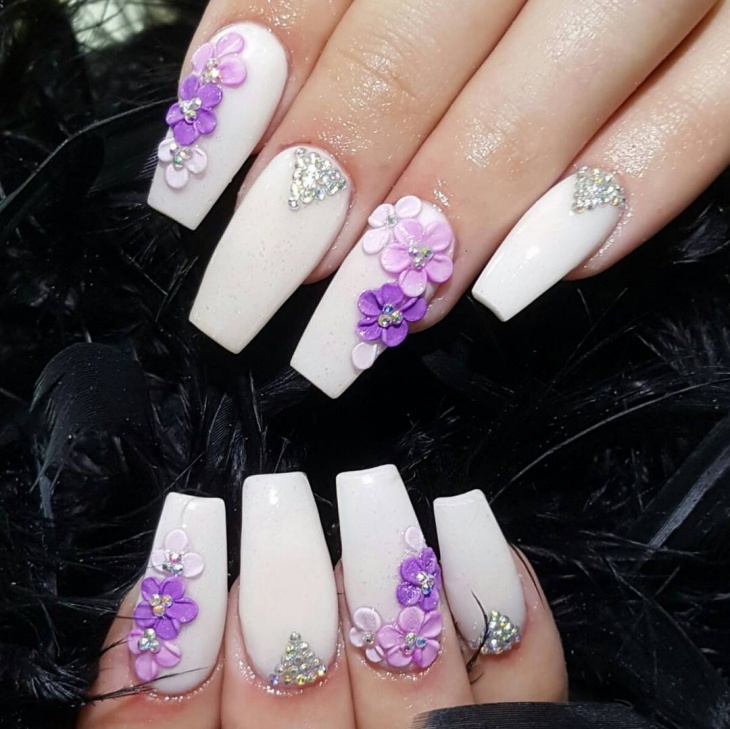 Every new fashion expert invents latest designs when it comes to decorating nails. When the trends come out, girls start looking to shop the latest elements and start examining their creativity. This simple work demands a lot of skill. 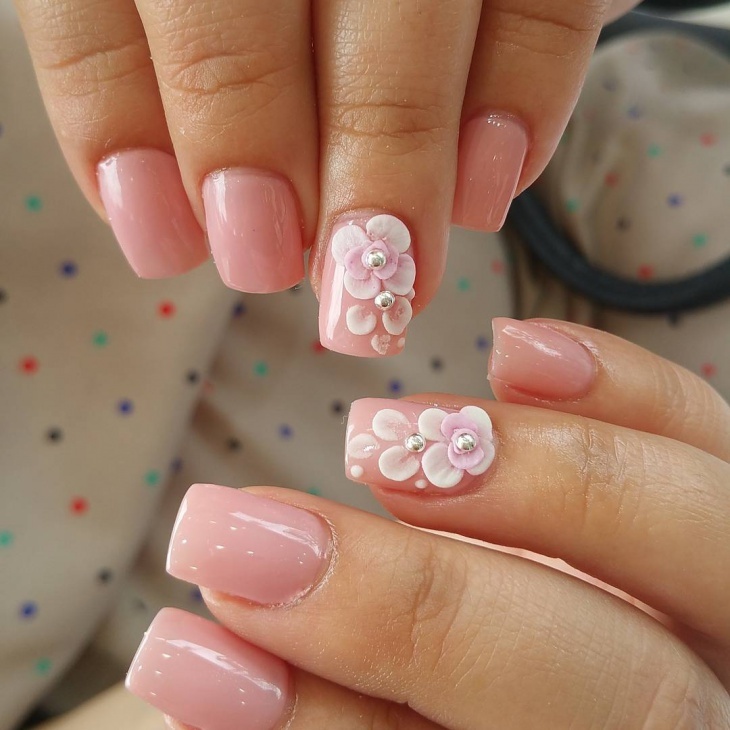 The trick is to buy the latest quality product and carefully use it on your nails. This season, say no to the darker shades, and go with light colors options which are floral and waterproof. The vibrant red color and love character imprinted on it simply look splendid. Seal the design with a top coat. This valentine day look is absolutely lovable. 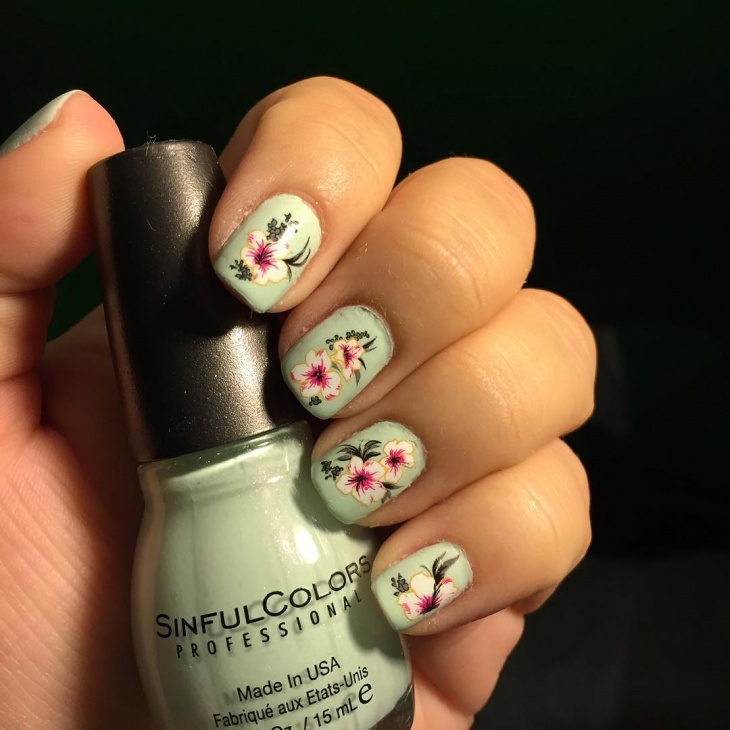 When you are in a hurry, try this nail art. 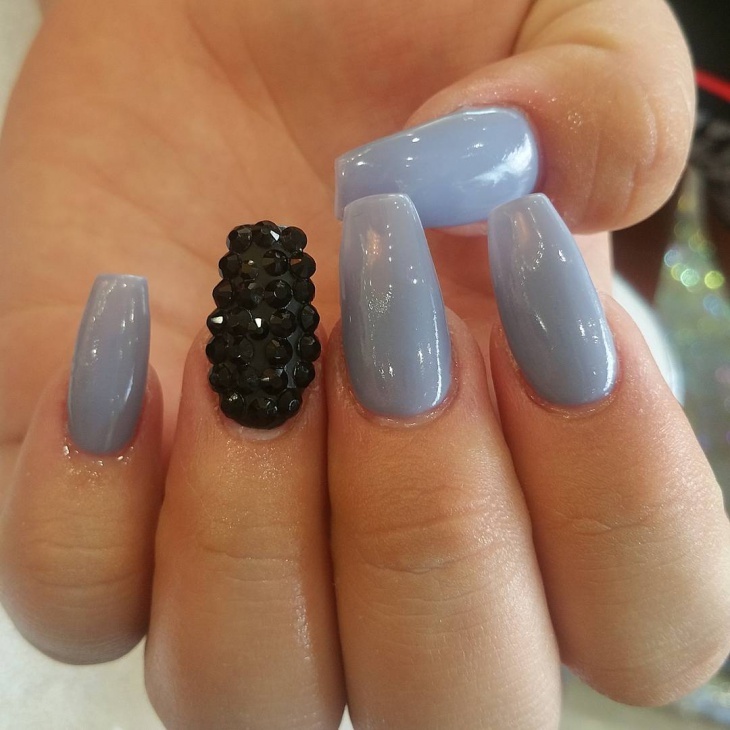 Just splash simple nail paint on your nails, take a deep blue nail polish and perfectly apply the color at the end of the nails, giving it a V shape. For the finishing glam, apply a top coat. The design will surely grab everyone’s attention. 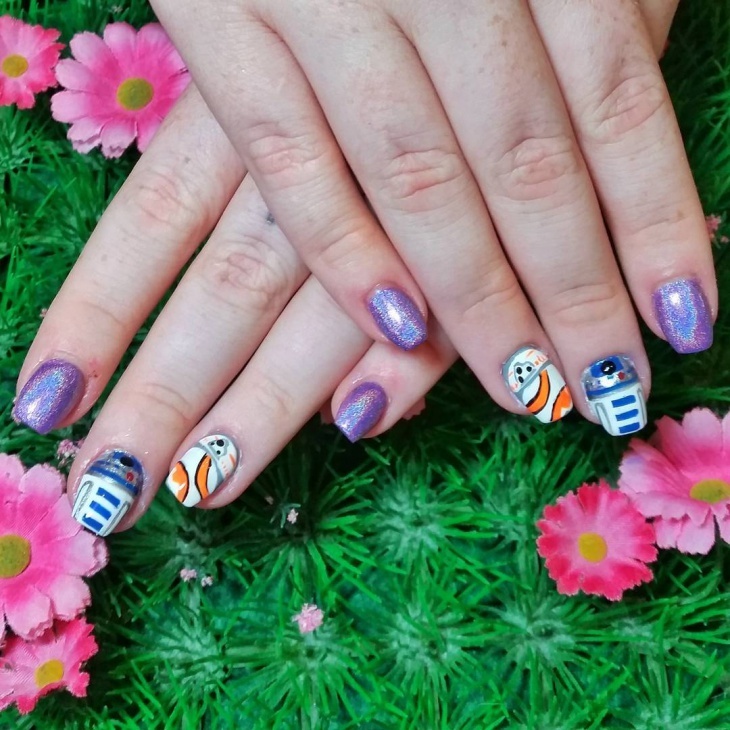 On the dark shade nail paint, you can find galaxy kind splattered design. 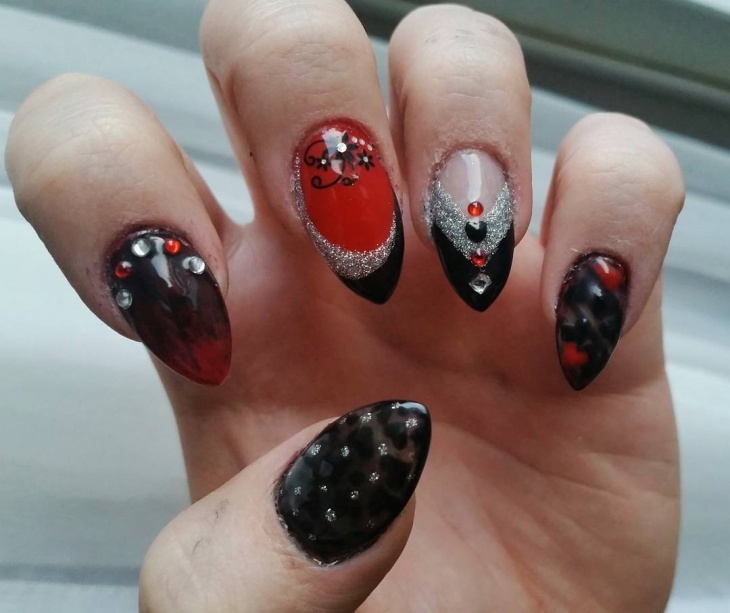 Use dotting tools to get the perfect design. 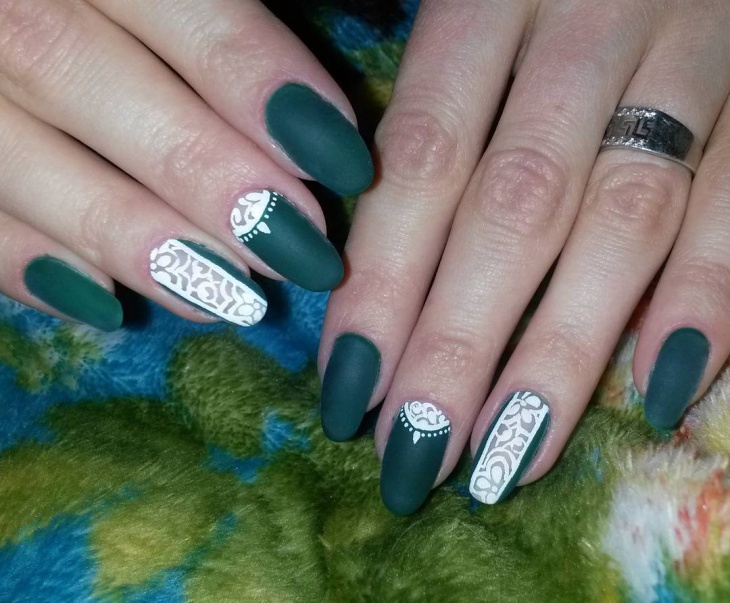 The design is a little new version of a simple nail art. Paint your nails in any color and make some multicolor dots over it. With this beginner design, you can choose whatever color you have. 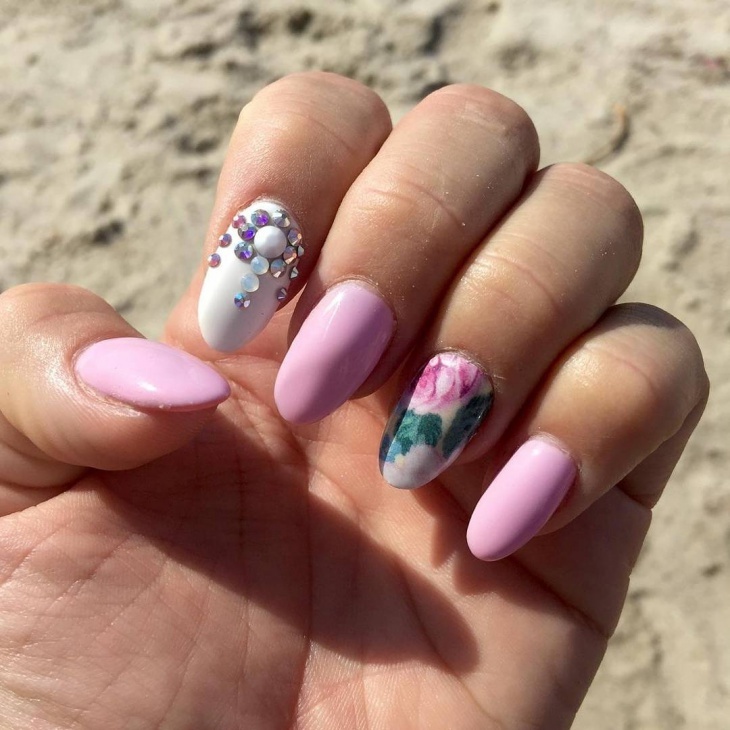 You can take help of the nail art dotting tools to get the perfect design. The design is the funniest of all. 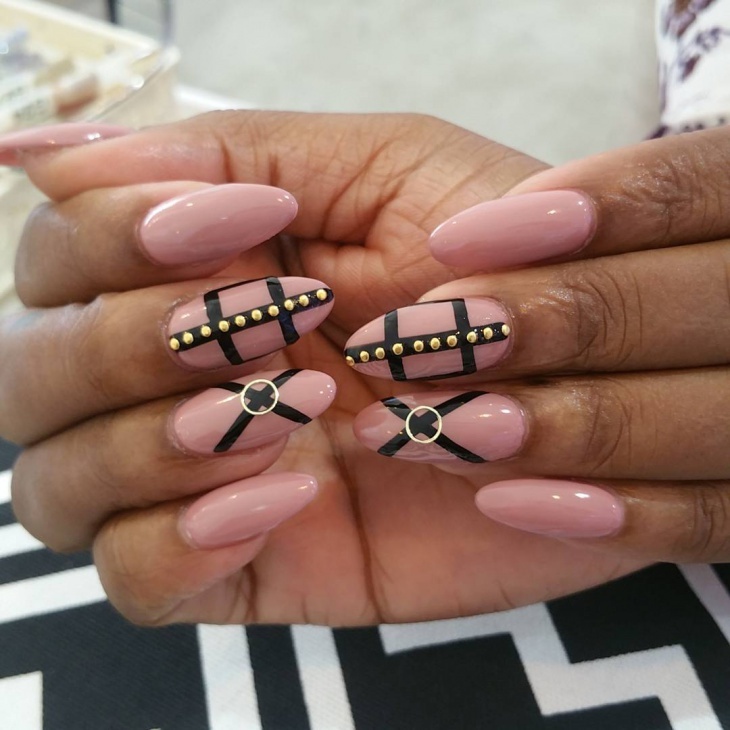 Apply different shades on every nail. Do not forget to pick contrasting colors. Pick neon shades to get the serious attention. If you are a beginner, this one is for you. 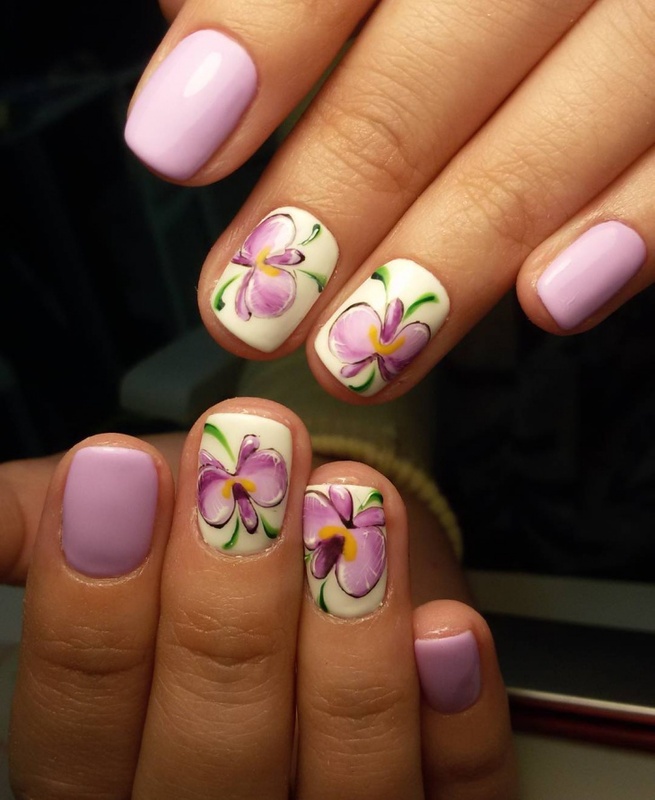 The floral design looks very attractive on the white paint. Buy some brushes and other equipment so that you can create a beautiful floral design. 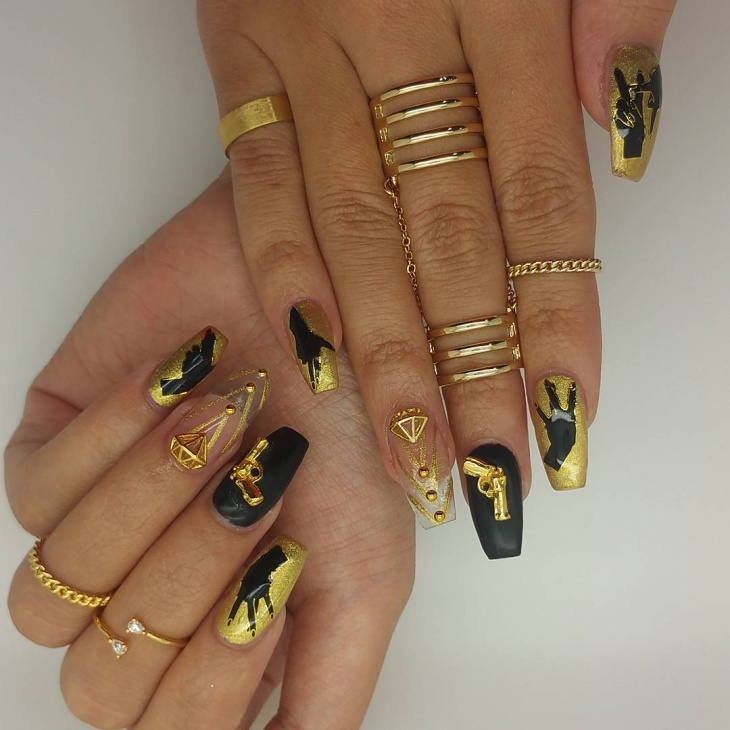 This nail art speaks about your creativity. 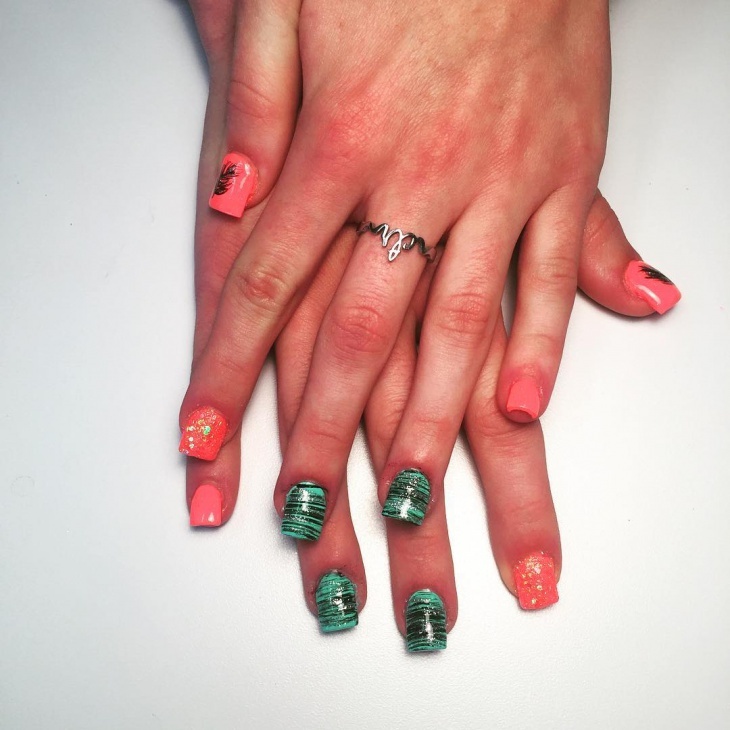 Apply white nail paint and take out some attractive color paints and make some designer vertical strips. 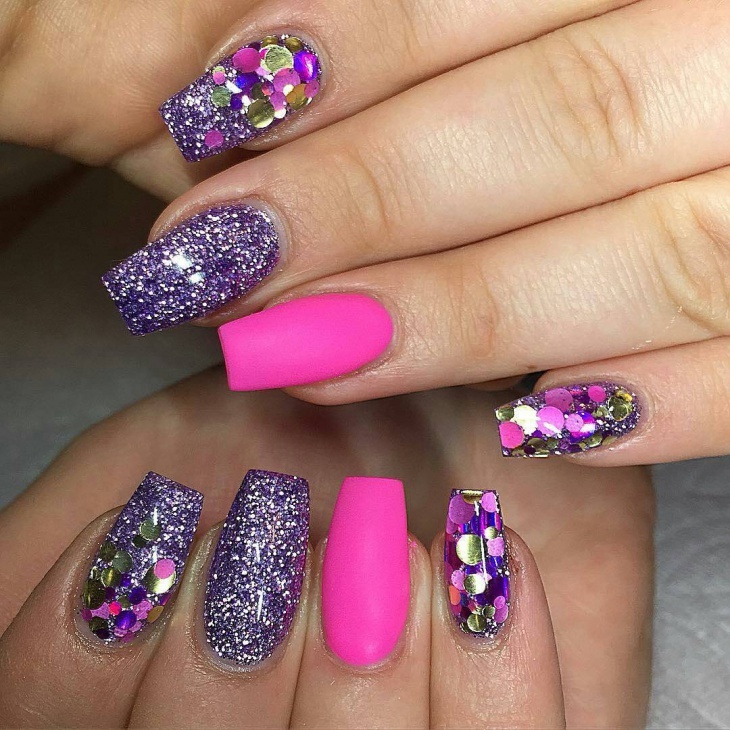 Take help of the nail striper tools and show your artistic work. To get this design pick some bright and colorful paints. The idea is to apply each color horizontally. 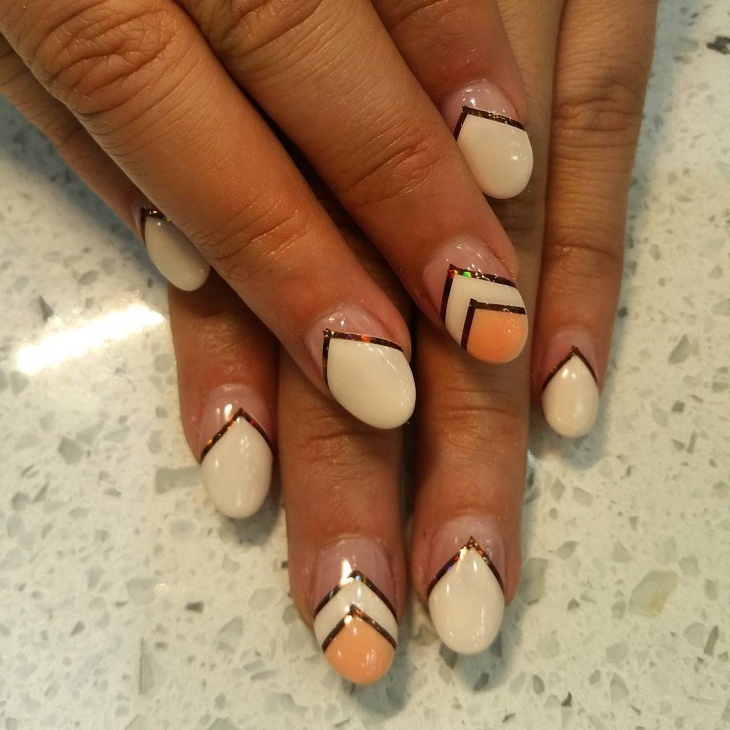 You can also apply vertical lines on some nails. 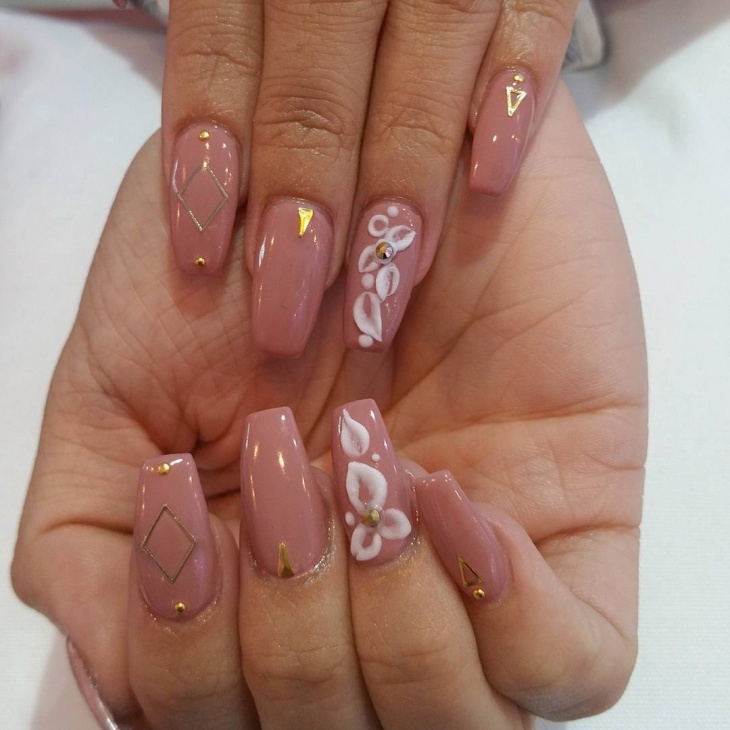 Leave some nails simple to make it a different design. The look is very attractive. Take out some shades of pink, gray, purple, lilac, black and white. Simply draw the pattern in the wavy design. For this design, you can choose the color according to your choice. This look is very trendy in the running season. 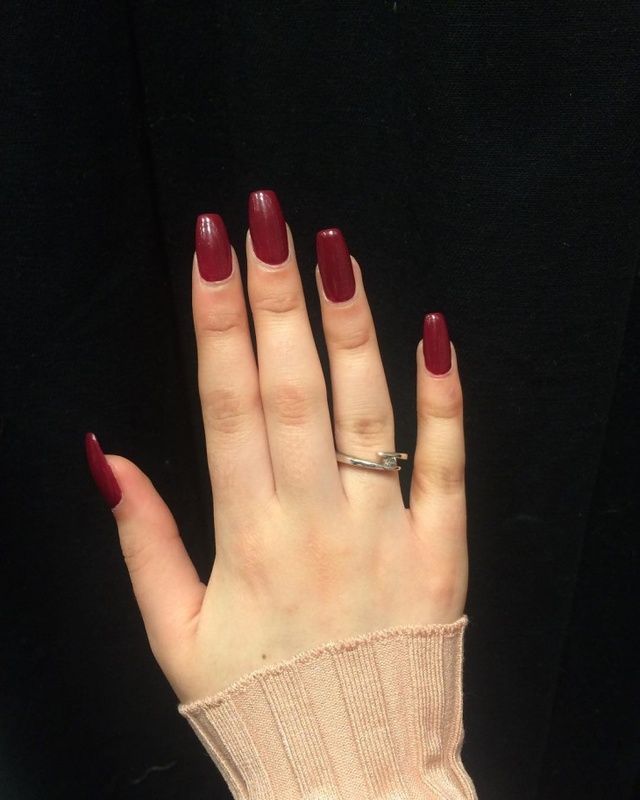 The idea is to apply the vibrant red color except on the ring finger. Gently coat a green hue on that and simply leave it. For the rest, give a look of the white polka dots. This gorgeous look is worthy of attention. You do not need to entirely copy these designs; you can use your own mind and creativity. But the mentioned techniques will really help you to stand out in the crowd. 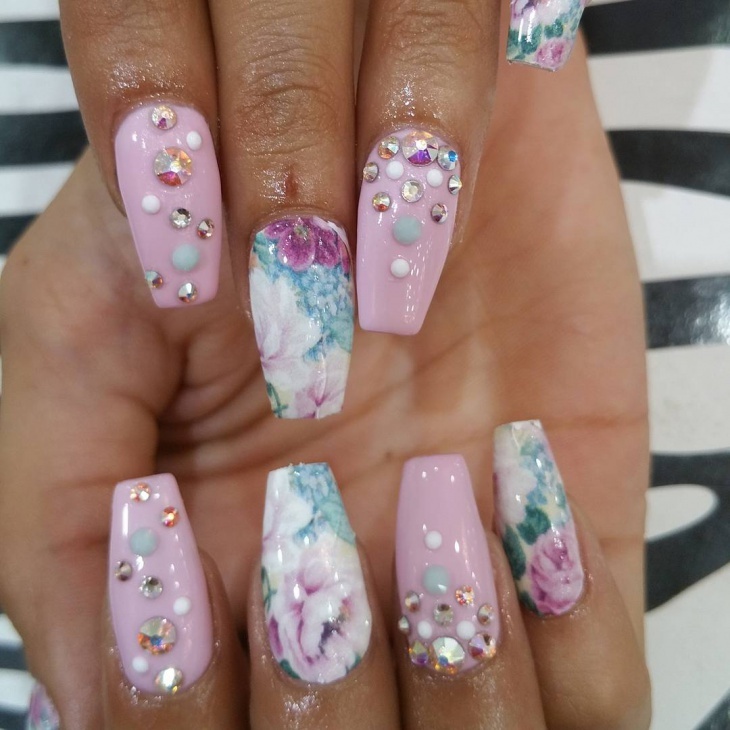 Nail art is a completely artistic work. For the beginners, there are several designs. 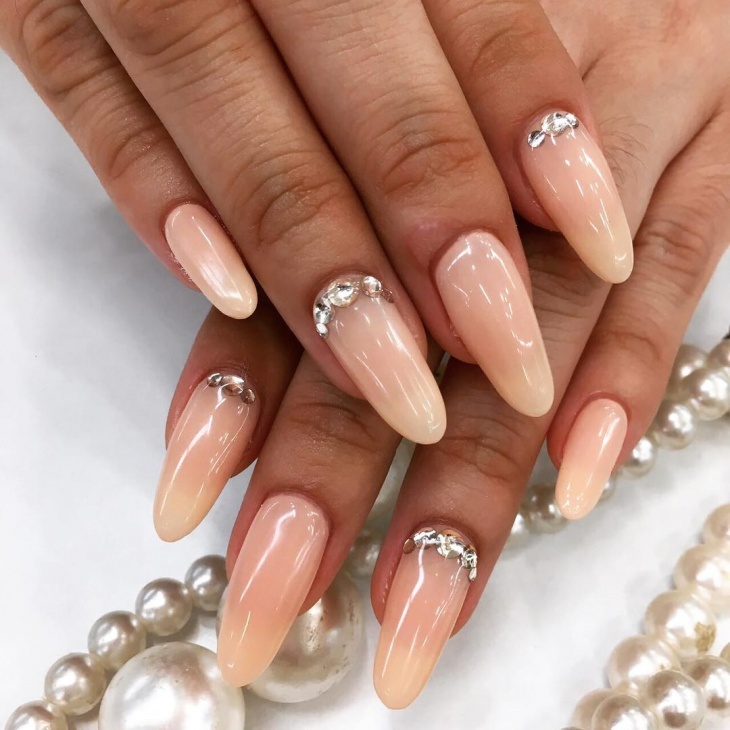 Before going for any such work, you should perfectly shape your nails and go through a manicure. Make sure that the shade you pick matches your skin tone and the outfit you are going to wear. 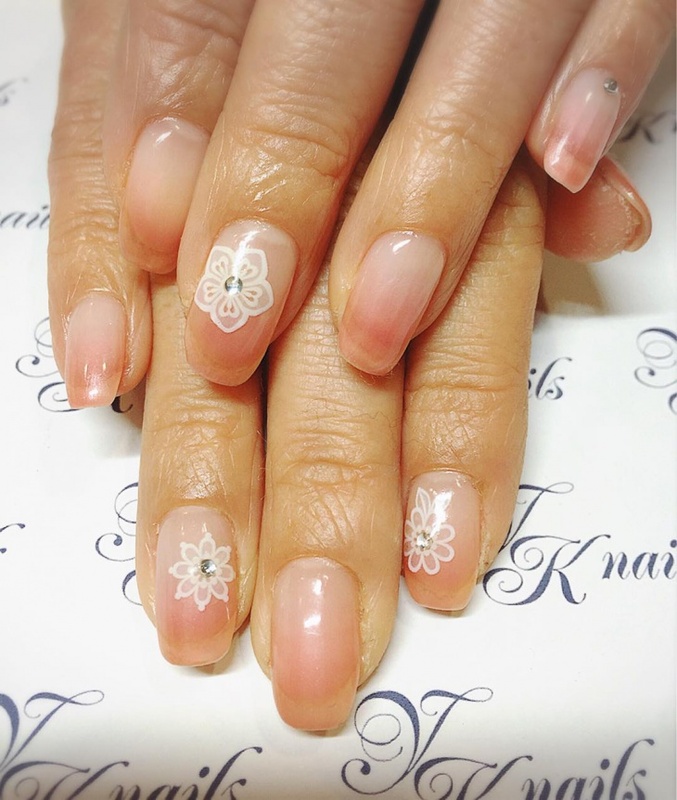 If you do not know the basics of the nail art, seek expert advice.